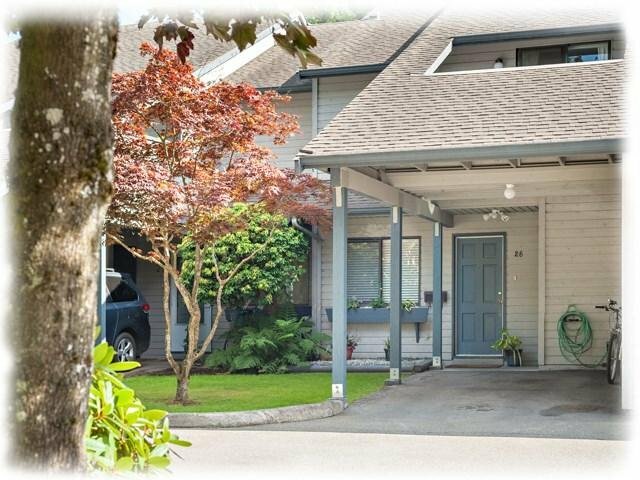 Beautifully maintained 3 bedroom plus DEN townhome with private Southern backyard onto green space. Many upgrades to kitchen, appliances, bathrooms, flooring, windows, painting & décor. 2 parking, pets permitted. Roofs replaced in 2011 & carports upgraded 2016. Schools community centre & bus all close by. Move-in condition. This is a lovely place to call home.